ACCR – Rent a car Sofia, Airport. Central rent a car Sofia office. Rent a car Agents in Sofia airport. +359 887685689 Rent a car Sofia All inclusive rent a car prices (11-31 euro/day). Full insurance for rental car. 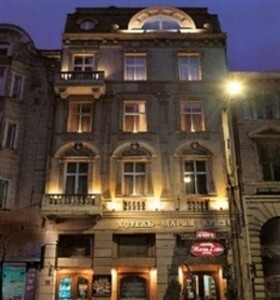 Restaurant “National Rotiseria Tzar Ivan Asen II” – 42 Hristo Belchev Str., Opened every day from: 11:00 – 04:00 The restaurant offers Bulgarian, French, European cousine. Unicat Restaurant – 41 Cherkovna str., Sofia, Bulgaria Opened every day from 11:00 AM – 11:00 PMUnicat restaurant is a classic restaurant, easily accessible from the city centre of Sofia. Pleasant atmosphere and perfect service are guaranteed. The restaurant offers VIP corner if you need privacy. JJ Murphy’s Irish Pub – 6 Karnigradska Str, Sofia 1000 Murphy’s is definitely the favourite place of the ex-pats in the city. Murphy’s is the place where good friends meet for fun, great food and drinks. Business lunches during the week, Football on the weekend. You will always find a space for a pint of Murphy’s. Tags: cheap flights Europe, Sofia Bulgaria. cheap flights within Europe Sofia Bulgaria. cheap european flights Sofia Bulgaria. Where to sky in europe Sofia Bulgaria. Learn some Bulgarian phrases before your trip. cheap airlines Europe. Cheap tickets for to travel to Sofia Bulgaria. cheap flights around Europe to Sofia Bulgaria. easyjet airline flights Sofia Bulgaria. Useful information for to travel in your holidays. Better prices for hotels, tours, rental cars and more. Restaurants. Travel Agencies. Tourism information. Places to visit. Where to go and buy at the better prices. Don’t forget to check our travel posts for to be updated with us. Where eat and sleep in the city.